Ein at-Tineh is a natural spring half way down the trail from Maqam Nabi Ghaith. 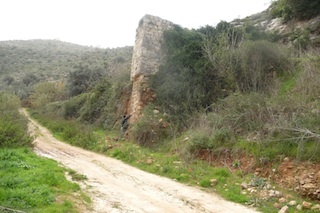 The area is surrounded by farms, Roman water canals and Ottoman water mills. 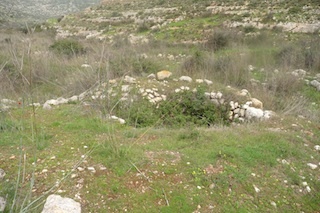 Additionally you may be able to find the stone burning oven known as Kubbara or Lattoun nearby. Radwan, the farmer who takes care of the plants and trees in this area is very welcoming and willing to provide tea and herbs to visitors.